The UNIMOG Road-Rail crane is the ideal concept for applications such as metro and tram maintenance work. It combines power, manoeuvrability and flexibility for quick and effective interventions. 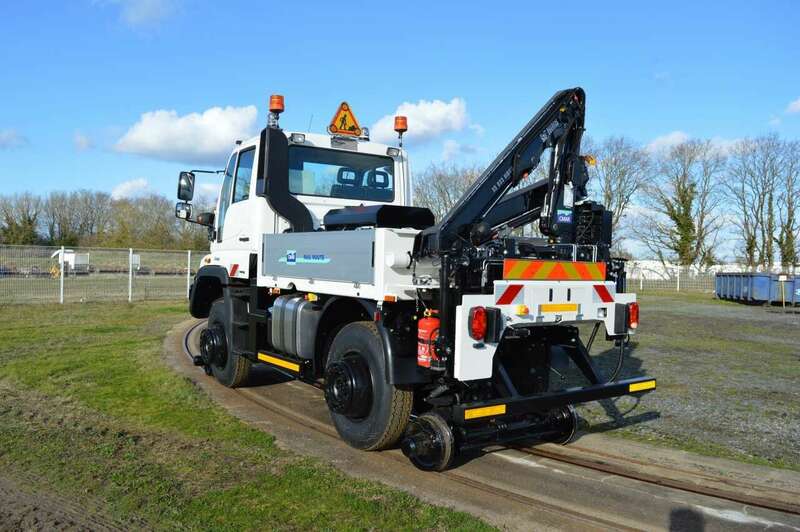 The UNIMOG Road-rail crane is the essential vehicle for tram network operations. It has a wide field of action with a very significant lifting capacity and a jib that can work in the most difficult conditions. In addition to its crane, the UNIMOG road-rail crane can be fitted with a host of equipment.